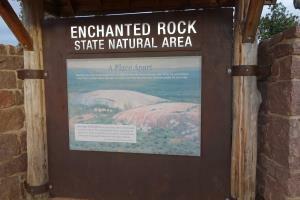 My friend and I went to Enchanted Rock for some more elevation training. We linked up with a Houston hiking group and went peak bagging. This is one park that'll give you a good cardio workout. The weather was very windy with near-gale strength gusts, which made activities a little more treacherous, but everyone had fun and no one got hurt.